Bounty and Skull feature via vynil then vynil laminated decals. Durable and wipe / water proof. 2 Colour construction - Grey with white stripes. Made from a heavy clay composite material. 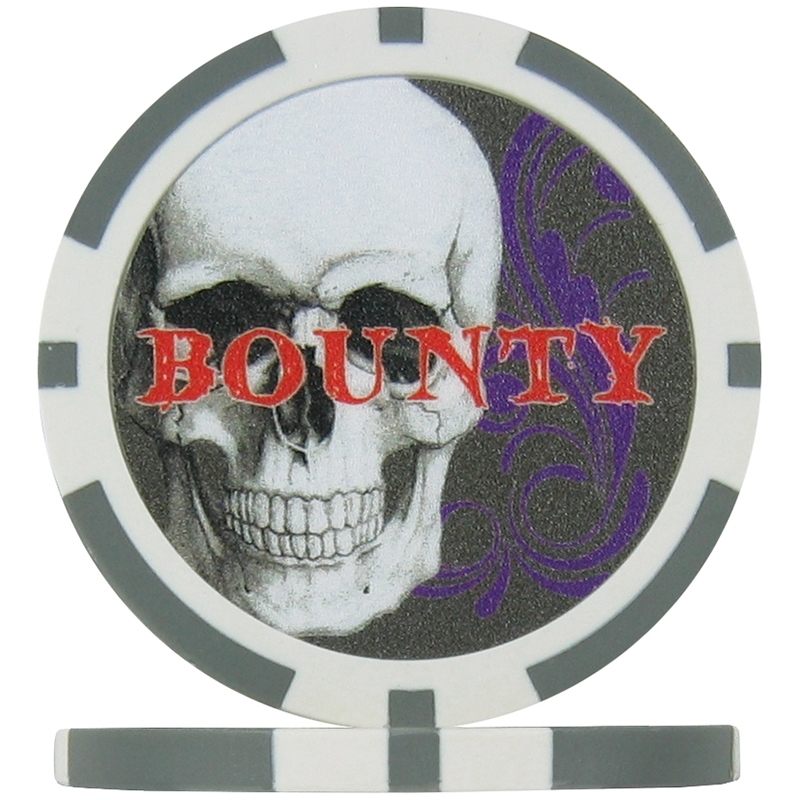 10 Pack BOUNTY CHIP SKULL GREY, featuring Bounty text and skull design.